We really don’t know what we’re in for when we begin this book. Daniel Kelly is a teenager orphaned during WWII and sent to an orphanage. When things get too dangerous there, all the kids are sent away by train and end up being placed in homes in Wales. 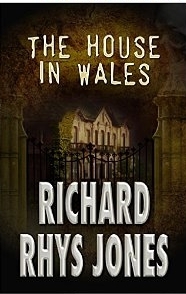 Much to his despair, Danny is sent to live with the Reverend Gwynfor Davies and his housekeeper, Fiona Trimble. And here is where the story begins all its strange and frightening turns. There is some sort of sordid relationship between the Reverend and Miss Trimble. The housekeeper has a dog named Astaroth that has a hellish streak of jealousy for his mistress and a strong, unexplained hatred for Danny. And Danny is so alone. The Reverend insists he be home schooled. And a fight with some of the local kids leaves him on the outs. His only ally, a girl from the orphanage has been taken in by a family living too far away to be of much help. On the rare occasion he can speak to someone, no one believes his stories of an overbearing man of god and perverted housekeeper prone to inflicting sexual humiliation. As the days grind on, the harshness of the Reverend, the warped cruelty of Miss Trimble and fear of Astaroth begin to take their on Danny’s mind. He begins to see and hear things coming from his closet that are not of this world. Are they related to the dark secrets being kept by Trimble and the Reverend or is his mind simply coming unraveled? Is there any way to survive being a prisoner of The House in Wales? A frightening 5 stars, not for the weak of heart!